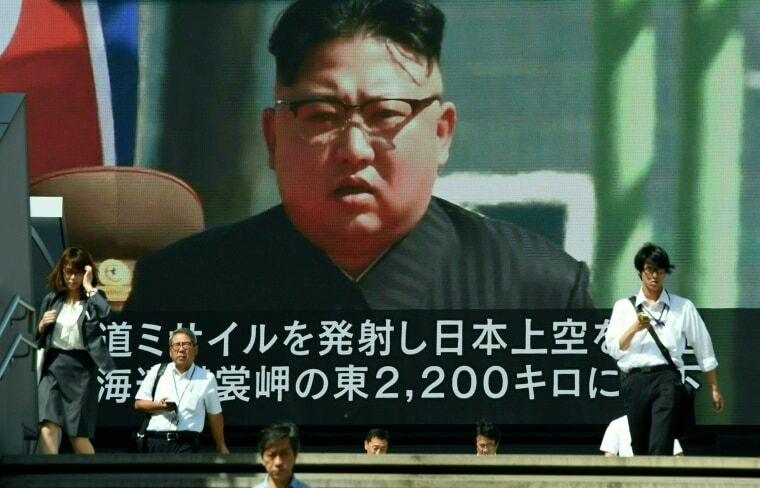 TOKYO — The two ballistic missiles that North Korea fired over Japan in the past three weeks sent ordinary Japanese citizens scrambling for cover, rattled financial markets and shocked a region long accustomed to a tense peace. But amid the crisis, one man’s stock appears to be rising. Japanese Prime Minister Shinzo Abe’s public approval ratings have surged along with his prospects for revising the country's pacifist constitution, acquiring more powerful weapons and confronting China’s rising regional clout. While Abe hopes his growing stature will allow him to bolster Japan’s military in the face of multiple threats beyond North Korea, he risks alarming neighbors who have not forgotten the horrors of its World War II-era expansion. “In a sense, it’s as if China and North Korea are supporting Abe’s popularity,” said Yukihisa Fujita, a lawmaker with the opposition Democratic Party. Abe had set a deadline to revise the constitution by 2020 — the year Tokyo will host the Olympic Games — to formalize Japan’s Self-Defense Forces (SDF) as an actual military. While a mostly symbolic move, it's one that feeds red meat to his conservative base. Abe’s popularity has proved unstable in the past: He distanced himself from his own deadline when his approval ratings dipped over the summer and some analysts attribute his recent burst of popularity to scandals among his opponents. "There is right now a one-sided arms race that China is winning"
But he’s nevertheless moving ahead with plans to purchase more advanced weaponry capable of offensive operations, such as Tomahawk cruise missiles and the first batch of 42 advanced F-35s fighter jets ordered from the United States. He’s also beefing up Japan’s defenses by adding a land-based missile defense system called Aegis Ashore to its sea-borne capabilities. All of this will be paid for by the country’s most sustained stretch of military funding increases in a generation. Abe has pumped up Japan’s military budget every year since he’s been in office. For 2018, he’s asking for 2.5 percent more for the Ministry of Defense — a princely total budget of $48.2 billion. To Abe supporters, such ambitions smack of realism rather than militarism: Given the threat posed by North Korea, any nation would want the option of pre-emptive self-defense. Japanese and American hawks have long argued that Tokyo's military spending is too low relative to its more militaristic neighbors. After all, Japan’s SDF already walks and talks like a real military. With nearly 250,000 standing soldiers, Asia’s most powerful navy and some of its most advanced military technology, Japan already ranks among the world’s top 10 defense spenders. Michishita and other analysts reject the notion that more weapons for Japan would spark a regional arms race. They maintain Abe’s militarization will maintain the current balance of power rather than allowing Japan to yield ground to China. “There is right now a one-sided arms race that China is winning,” said Jeff Kingston, a professor of Japanese history at Temple University’s Tokyo campus. That China and South Korea might take exception to Japan’s more aggressive posture is predictable, Kingston said. Beijing and Seoul regularly invoke Japan’s history of war crimes for domestic consumption. But for all of its defensive logic, most troubling for Abe’s opponents both inside and outside Japan is the prime minister’s subtle but noticeable revival of nationalist rhetoric and authoritarianism — the kind of talk that reminds many in East Asia of the years of jingoism that led to World War II. For example, Abe remains a card-carrying member of the Nippon Kaigi, an influential nationalist lobbying group. Abe has already followed his words with action. Two years ago, he pushed through legislation that reinterpreted Japan’s pacifist constitution, allowing Japan’s military to operate more independently in combat zones such as U.N. peacekeeping operations. And last year, he passed a controversial anti-terrorism law that handed police broader surveillance powers and another that placed tighter controls on state secrets. Abe argued the changes were needed to allow Japanese intelligence to share information with its allies. Fujita, the opposition lawmaker, warned against rhetoric that could damage Japan’s standing across the region. “I have a belief that a nation’s surest defense is the trust and gratitude of its neighbors,” he said. Most surprising to many Japanese is the sudden mutual affection between Abe and President Donald Trump, who is widely reviled in Japan. As North Korea’s threats accelerated this year, Trump phoned Abe far more often than he dialed South Korea’s liberal Prime Minister Moon Jae-in. Trump and Abe also played golf at the president's Florida resort in February — something which didn't play well among much of Japanese public, Kingston said. While the love-in with Trump and overtures toward militarization attract support during confrontations with North Korea and play well with Abe’s right-wing base, they are ultimately shortsighted, said Fujita and Yoichi Funabashi, chairman of the Tokyo-based Asia Pacific Initiative. Even though Trump had criticized Japan during his campaign for freeloading off America’s military might, more militarization could backfire by convincing Trump that Japan no longer requires U.S. support, he said. When the Diet, the Japanese legislature dominated by Abe’s Liberal Democratic Party, reconvenes later this month, it will offer a first glimpse of how much support the prime minister enjoys among the political class. Abe is considering calling snap elections one year early — a risky gambit meant to consolidate his sudden popularity. He has North Korean leader Kim Jong Un to thank for much of his improved fortune. 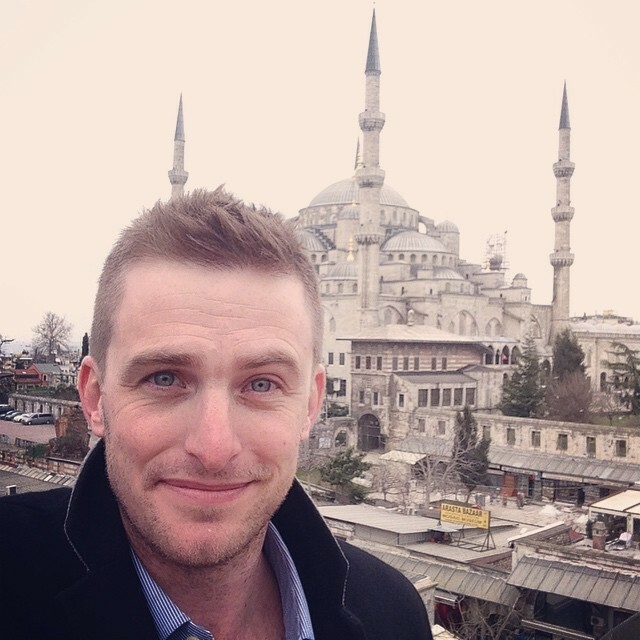 Matt Bradley is a London-based foreign correspondent for NBC News and MSNBC.